Control and Signals For use on machines, portable tools, conveying equipment and other industrial applications. These cables are flexible for fixed installation as well as occasional flexing without tensile load. Harsh Environments With its high flexibility, durable SER sheath and excellent resistance to oil, heat, abrasion, ozone, solvents and UV stabilisation, this cable is suited to harsh industrial environments. 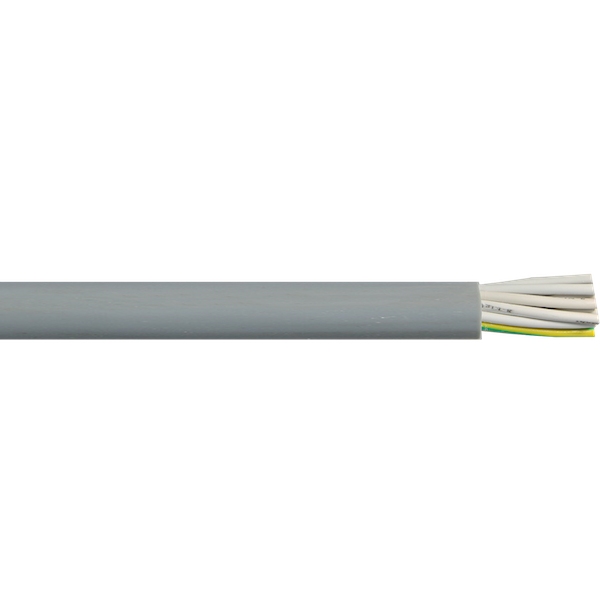 Lighting & Entertainment With its extra durable SER sheath, this cable is suitable for indoor/outdoor lighting and control leads. Operating Temperature Range Fixed -20°C to 80°C / Flexing -5°C to 75°C. Maximum Conductor Temperature 80°C (Current ratings are based on 30°C air temp. See technical section for de rating factors). Max AC Operating Voltage Uo 318v. Minimum Bending Radius Fixed 5 x cable diameter / Flexing 15 x cable diameter. Sheath Colour Grey – as standard colour / Black – in some sizes subject to availability (marked B). Standard Core Colours White (numbered) plus 1 Green/Yellow Earth. Relevant Standards IEC 60332-1, AS/NZS 1125, AS/NZS 3808, ROHS Compliant.